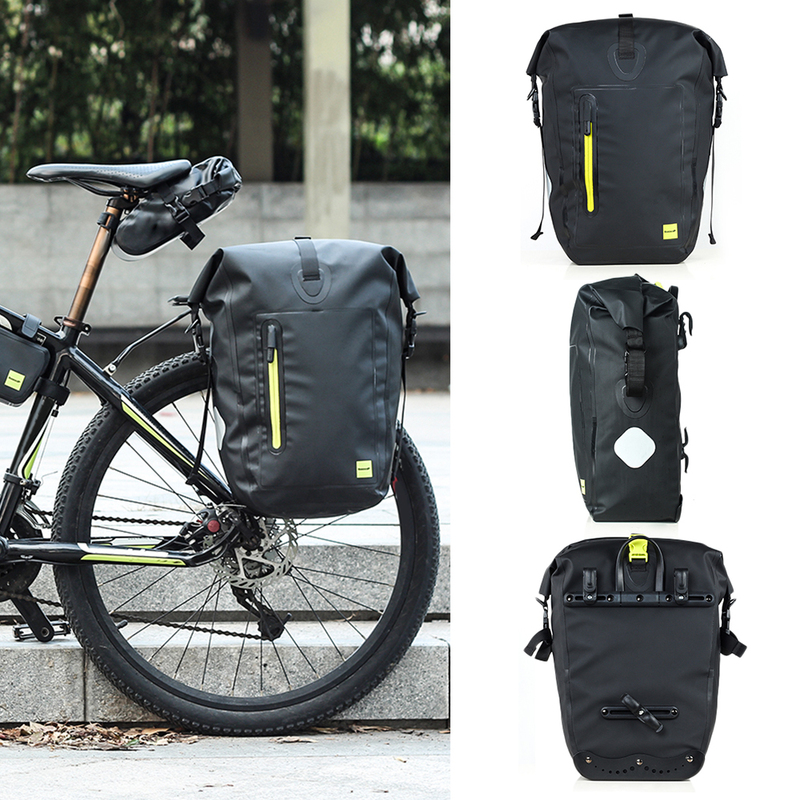 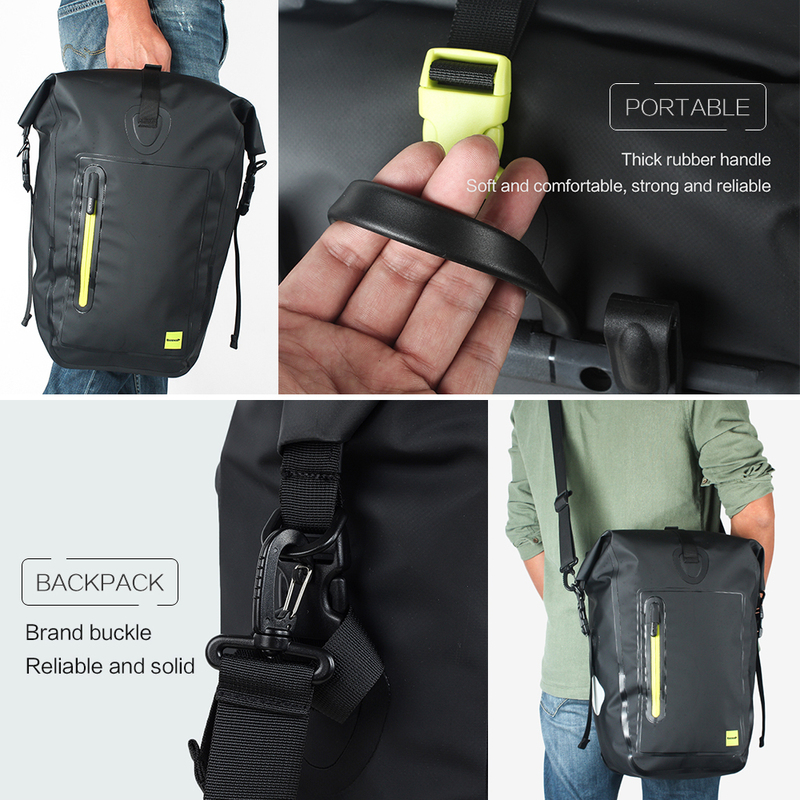 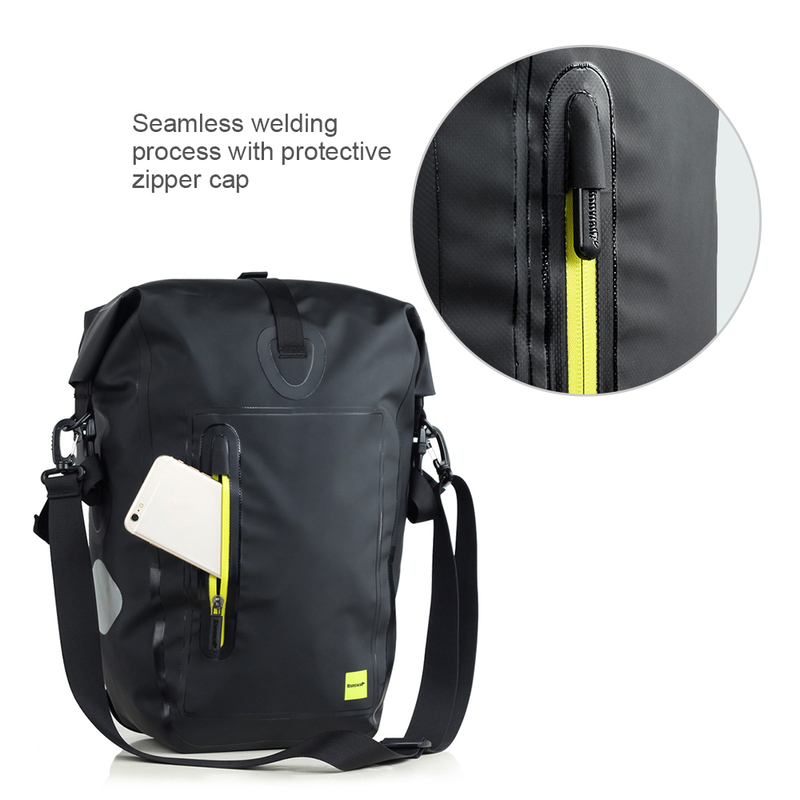 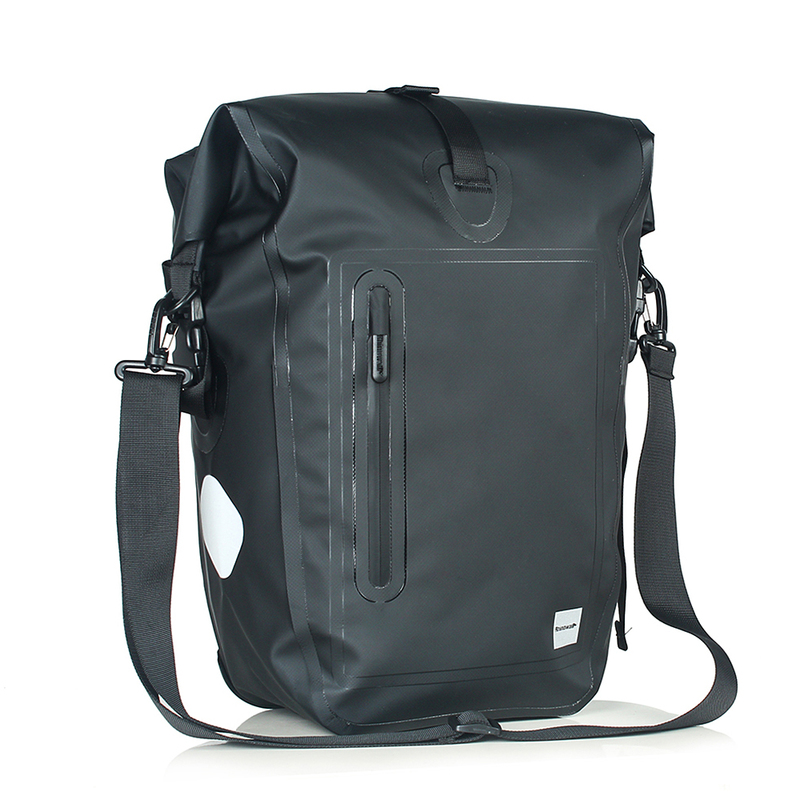 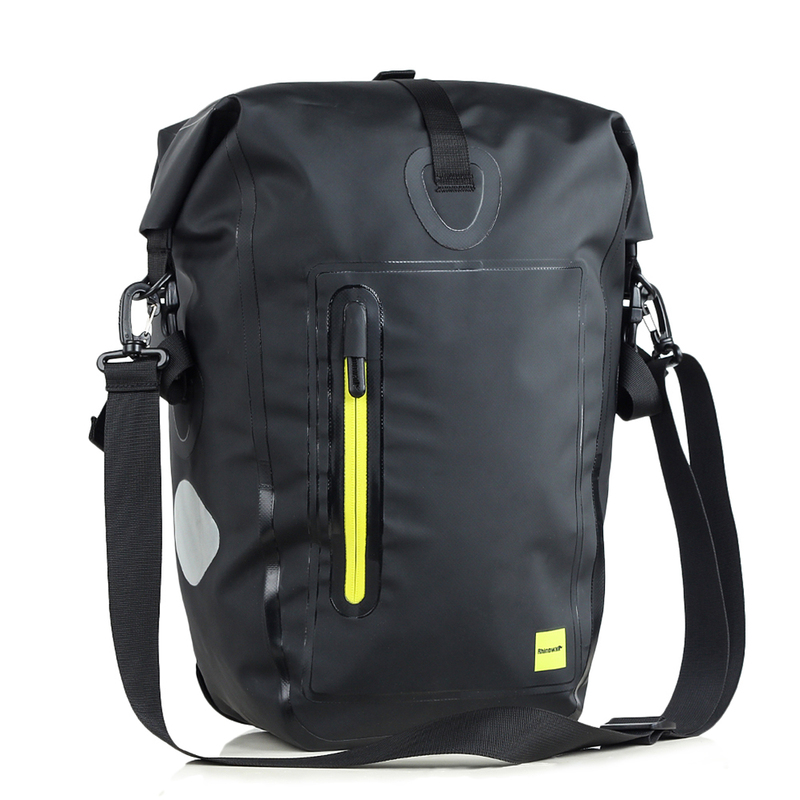 Bicycle Pannier Bag Material & Craft: 840D double-sided TPU IPX5 waterproof material, anti-tear, wear-resisting, cold-proof and heat resisting, fully waterproof, no need rain cover. 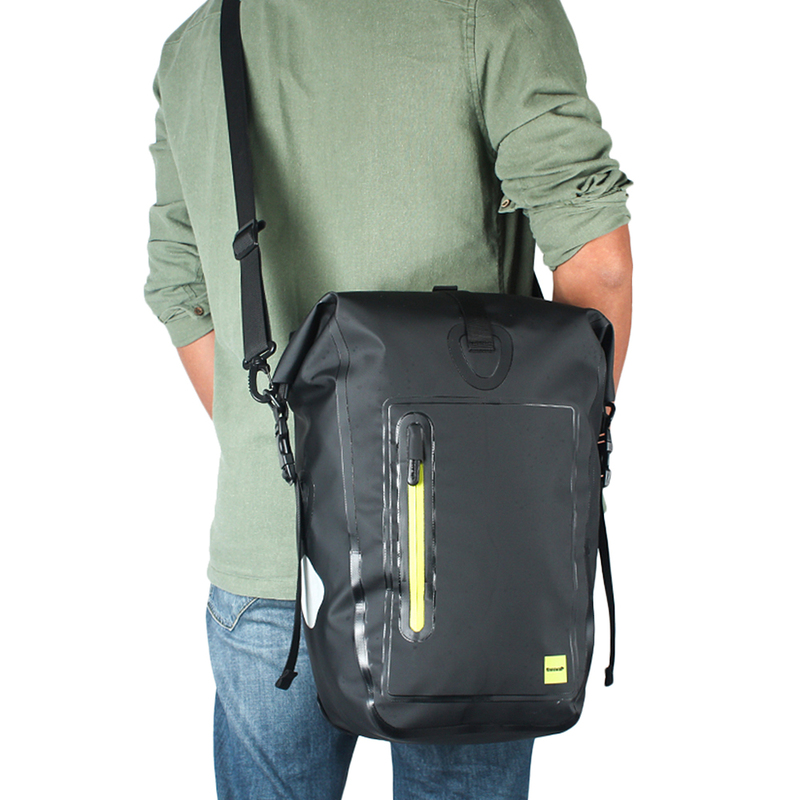 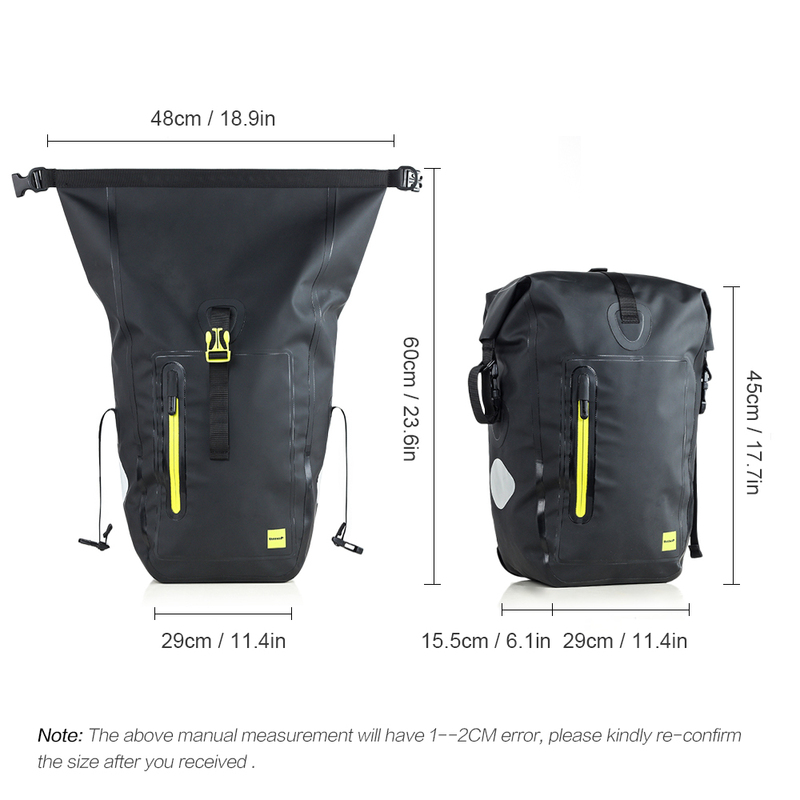 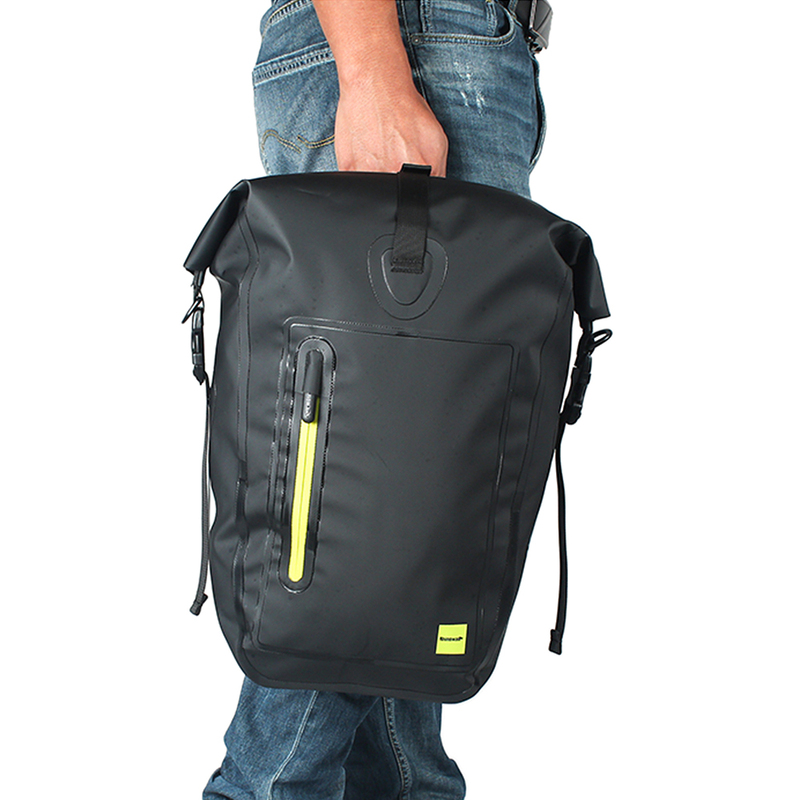 Bike Rear Bag Large capacity: up to 20-25L capacity, fully expanded to hold more. 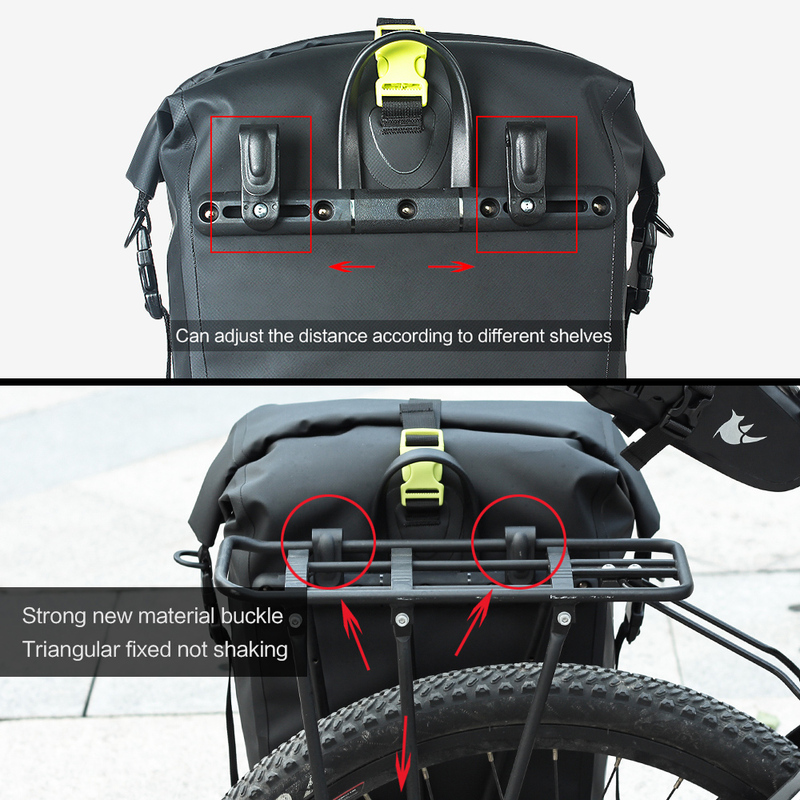 Bike Rear Seat Trunk Pack Safety Reflective Design: both sides with reflective design, ensure safer cycling. 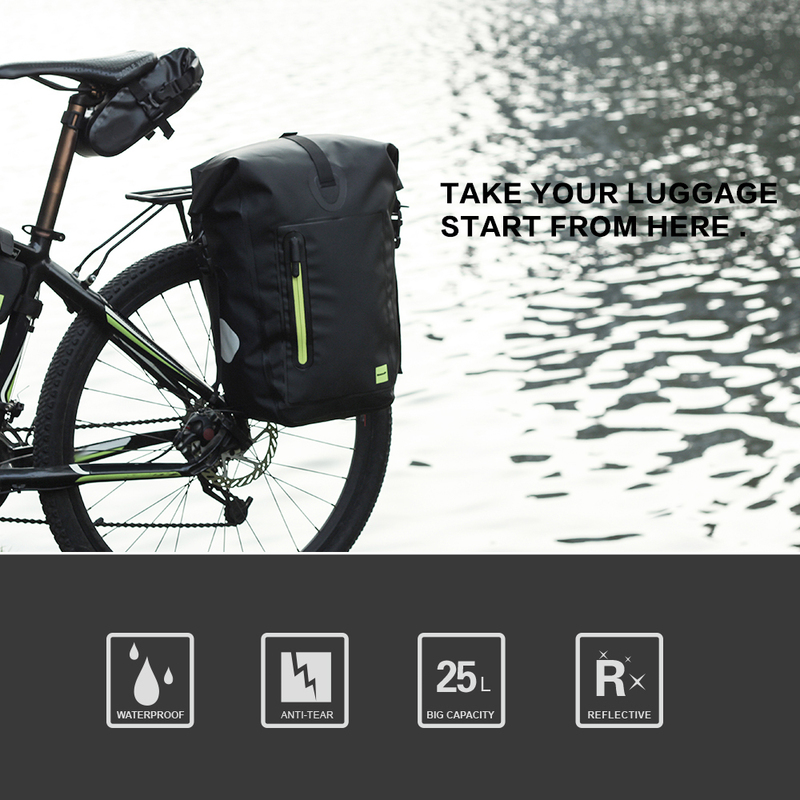 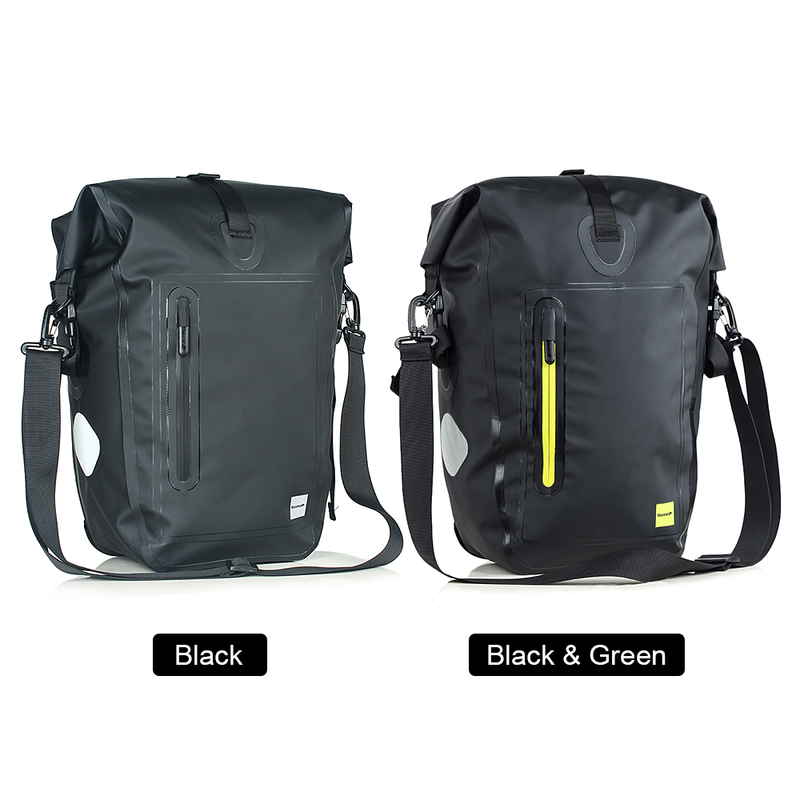 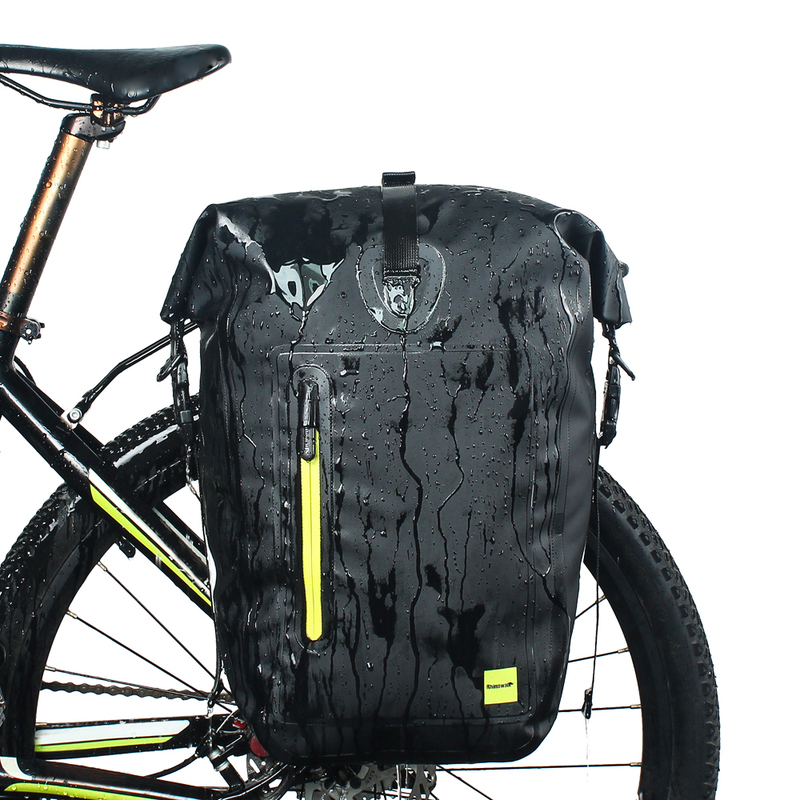 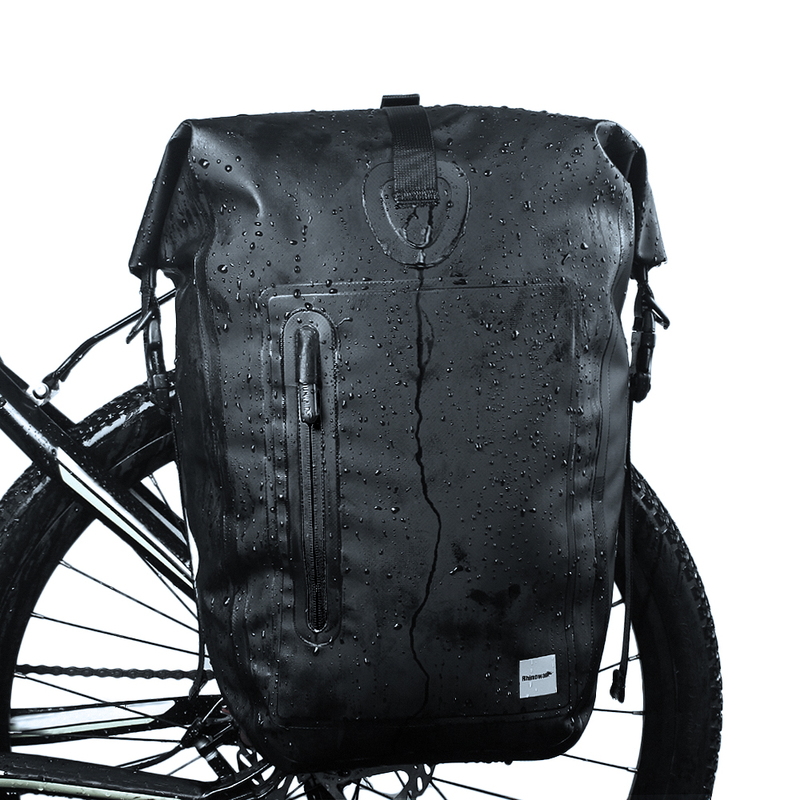 Package includes: 1 x Waterproof Bike Pannier Bag.